In the D1 chart, the instrument is trading around the upper border of Bollinger Bands. The indicator is directed upwards and the price range has reduced, which indicates the change of the uptrend. MACD histogram is in the positive zone keeping a weak buy signal. Stochastic left the oversold zone having formed a sell signal. 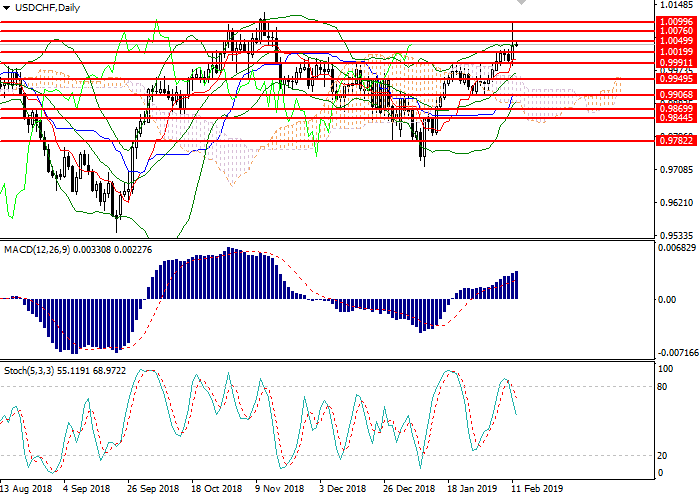 On the H4 chart the instrument is testing a key resistance level of 1.0050. Bollinger Bands are directed upwards, and the price range has increased insignificantly, which indicates the continuation of the uptrend. MACD is keeping a buy signal. Stochastic is about to enter the overbought area, a strong sell signal can be formed during the day. Resistance levels: 1.0050, 1.0076, 1.0099. Support levels: 1.0020, 0.9991, 0.9950, 0.9906, 0.9870, 0.9844, 0.9782. 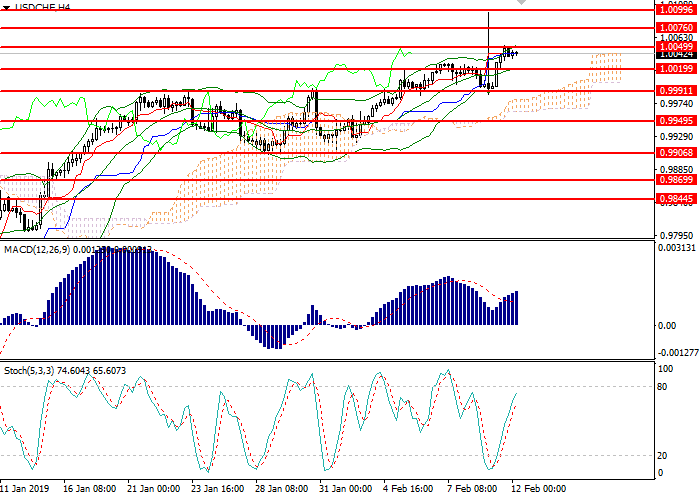 Long positions may be opened above 1.0050 with target at 1.0099 and stop loss at 1.0035. Implementation period: 1 day. Short positions may be opened below 1.0015 with target at 0.9965 and stop loss at 1.0035. Implementation period: 1-2 days.